James A. White Sr. is a senior, Master Training Management Consultant and Executive Coach. With over 28 years of corporate, education, and government experience, James is committed to the training and development of individuals and organizations. As owner and operator of Performance Consulting Services, James is dedicated to sharing his commitment, energy and insight with all people. Known for his humorous, yet real and impacting, informative training style, people of all races, genders and backgrounds have commended him for assisting them in attaining higher levels of performance success. He is a strong believer that "Self Management and Self Actualization is the key to Personal and Professional Success". 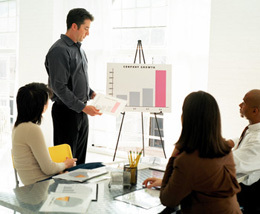 We engage only in the finest, highly skilled experienced facilitators. 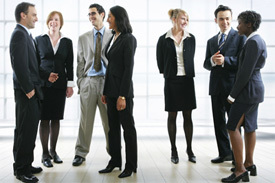 Each facilitator has multiple years of experience in the corporate culture, and the public sector. They are committed to positively impacting the lives and businesses of all that engage our services. Each has a broad base background in dealing with major corporate accounts and diverse and challenging situations. Each donates a segment of their time to the community and to the development of youth. 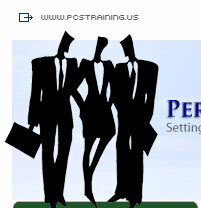 Performance Consulting Services Is Dedicated To Help People Master Quality Performance!